The M60 machine gun began development in the late 1940s as a program for a new, lighter 7.62 mm machine gun. It was derived from German machine guns of World War II (most notably the FG 42 and the MG 42), but it contained American innovations as well. Early prototypes, notably the T52 and T161 bore a close resemblance to both the M1941 Johnson machine gun and the FG 42. The final evaluation version was designated the T161E3. It was intended to replace the M1918 Browning Automatic Rifle and M1919A6 Browning machine gun in the squad automatic weapon role, and in the medium machine gun role. One of the weapons tested against it during its procurement process was the FN MAG. 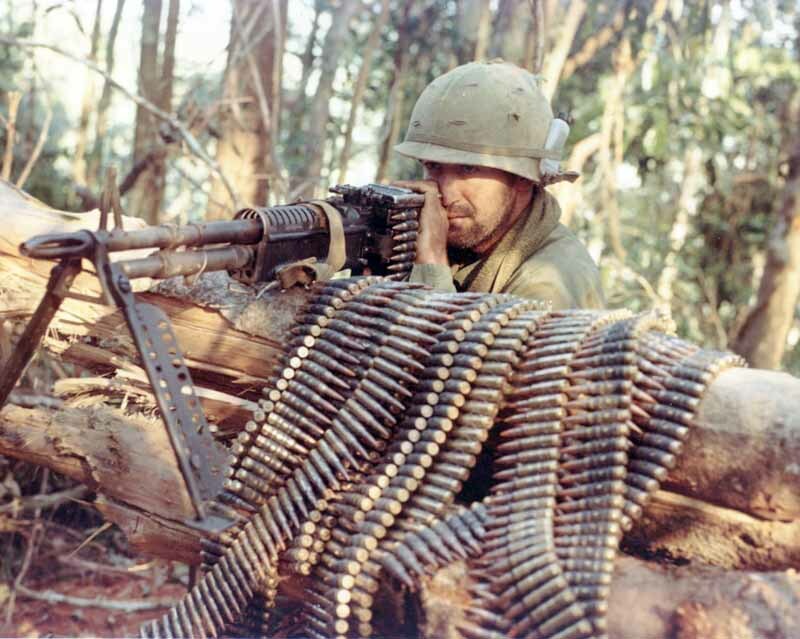 The M60 later served in the Vietnam War as a squad automatic weapon with many U.S. units. 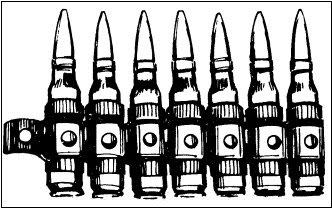 Every soldier in the rifle squad would carry an additional 200 linked rounds of ammunition for the M60, a spare barrel, or both. The up-gunned M113 armored personnel carrier ACAV added two M60 gunners beside the main .50 caliber machine gun, and the Patrol Boat, River had one in addition to two .50 cal mounts. 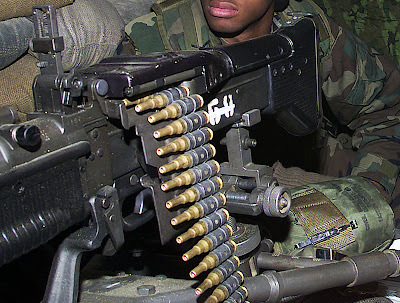 In the 1980s, the M60 was partially replaced by the M249 Squad Automatic Weapon within the infantry squad. 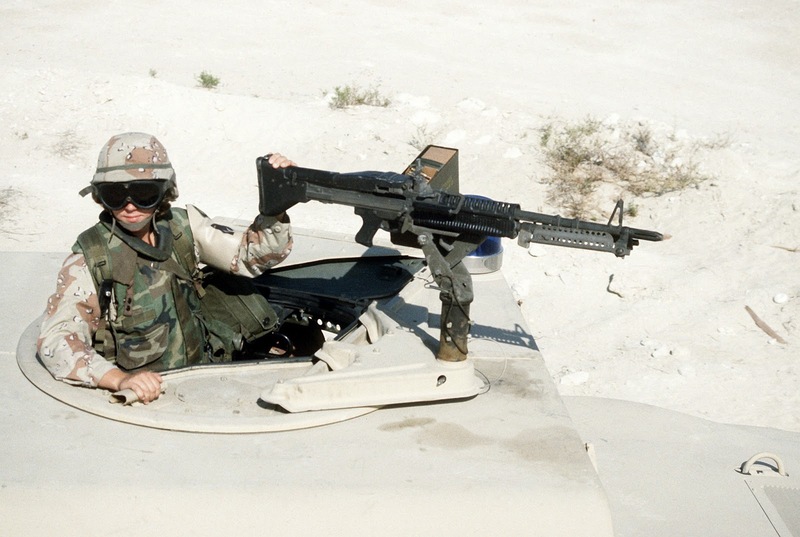 The M60 was retained in the vehicle mounted role and the general-purpose role due to its greater power and range compared to the 5.56 mm M249. In United States Marine Corps service, concerns about the M60's reliability, weight, and the high round counts of many M60s in service prompted the adoption of the M60E4 (or also known as MK43MG) to replace most original M60s in infantry units. 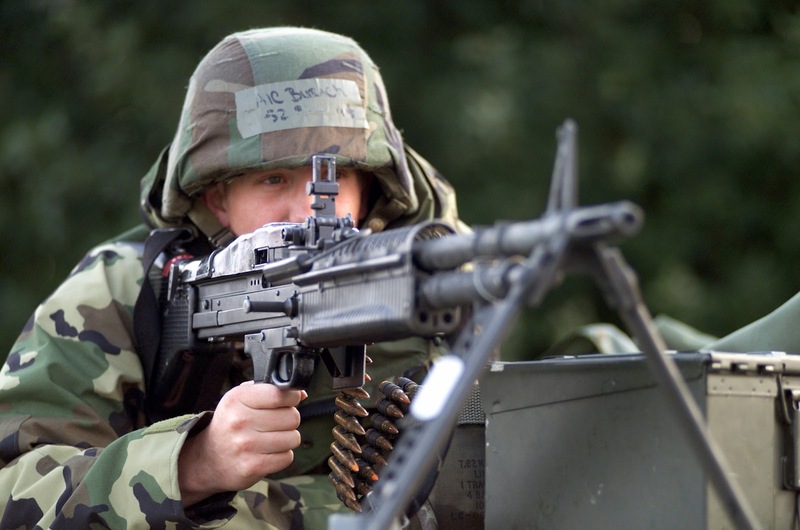 Starting with Ranger Battalions, the US Army began adopting and modifying M240 variants to replace their remaining M60s in the early 1990s. 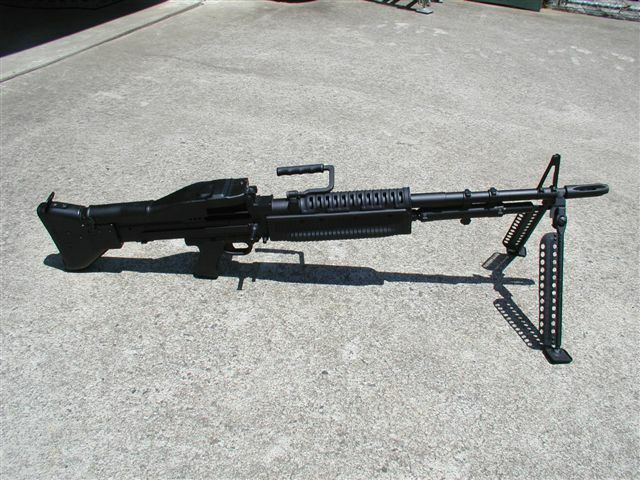 The M240 is several pounds heavier than the M60, and has a longer barrel and overall length, but is more reliable in use and testing. However, the M60 uses a much simpler gas system that, when care is taken during reassembly, is easier to clean. This advantage is obviated since the gas tube is wired shut with lockwire to prevent the weapon from disassembling itself from vibration in hard use. 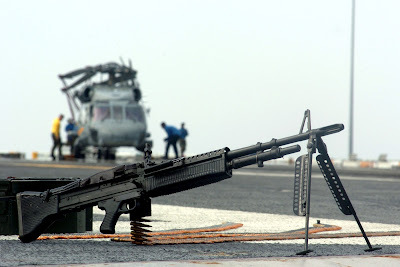 The M60 continues to be used in the 21st century by U.S. Navy SEALs and as a door gun on U.S. Army helicopters, and was the main 7.62 mm machine gun by some U.S. special operations forces to the late 1990s. As of 2005, it is used by the Coast Guard, Navy, and some reserve units. The M60 is generally being phased out. 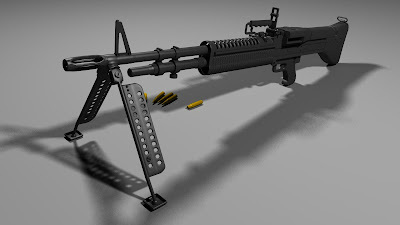 The M60 is a gas-operated, air-cooled, belt-fed, automatic machine gun that fires from the open-bolt position and is chambered for the 7.62 mm NATO cartridge. 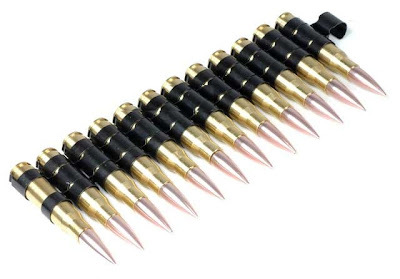 Ammunition is usually fed into the weapon from a 100-round bandolier containing a disintegrating, metallic split-link belt. 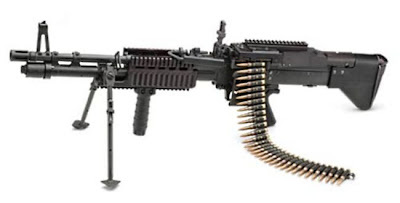 The design drew on many common concepts in firearms manufacture of the period, such as stamped sheet metal construction, belt feed (a modified mechanism for belt feed from the MG42 with a single pawl), quick barrel replacement, a pistol grip and stock, and a Semi bullpup design similar to the FG42 (much of the action occupies the weapon's stock). 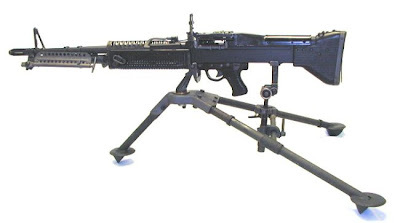 The M60's operating system of an operating rod turning a rotating bolt was inspired by the FG42, which was based on the much earlier Lewis Gun. The M60 was even constructed with a secondary assisting firing pin spring that is used in the FG42 in semi-automatic mode even though it is actually unnecessary in the M60 (which operates only in full automatic mode). 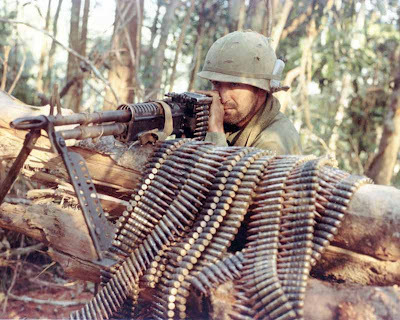 The M60's gas operation is unique, and drew on technical advances of the period, particularly the White "gas expansion and cutoff" principle also exploited by the M14 rifle. 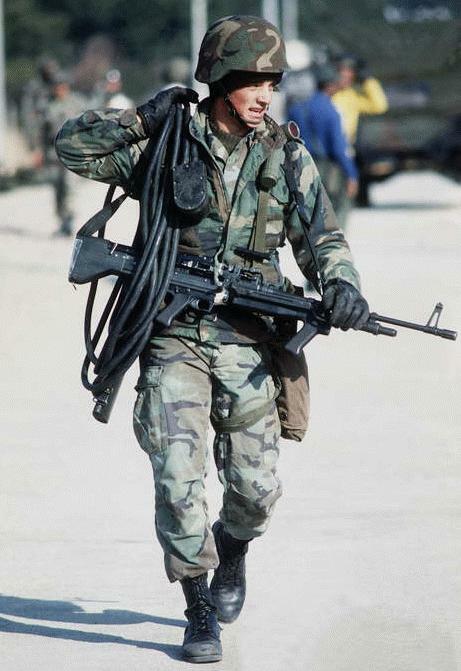 The M60's gas system was simpler than other gas systems and easier to clean. The straight-line layout allowed the operating rod and buffer to run directly back into the buttstock and reduce the overall length of the weapon. As with all such weapons, it can be fired from the shoulder, hip, or underarm position. However, to achieve the maximum effective range, it is recommended that a bipod-steadied position or a tripod-mounted position be used and fired in bursts of 3–5 rounds. 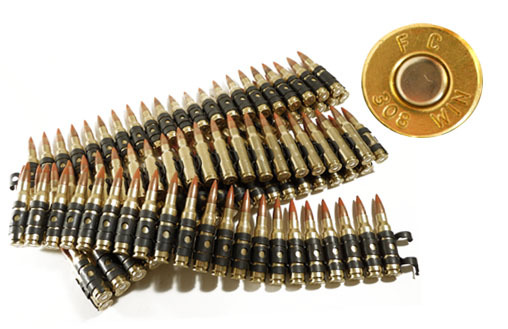 The weapon is heavy and difficult to aim when firing without support, though the weight helps reduce the felt recoil. The large grip also allowed the weapon to be conveniently carried at the hip. 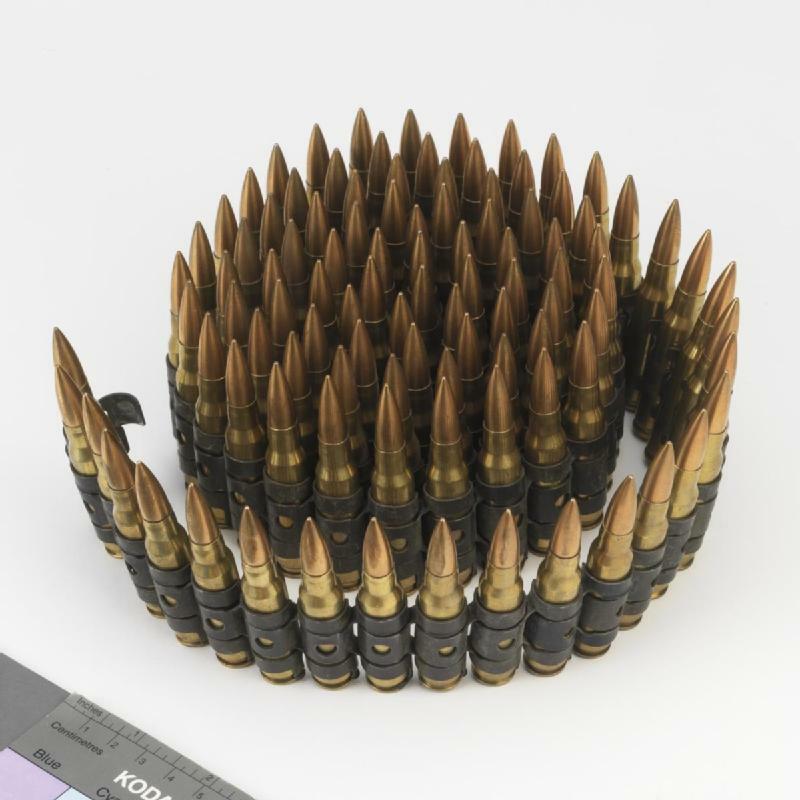 The gun can be stripped using a live round of ammunition as a tool. However, this is highly discouraged, as doing so can damage that round and increase the chance of a misfire. The M60 family of weapons are capable of firing standard NATO rounds of the appropriate caliber. 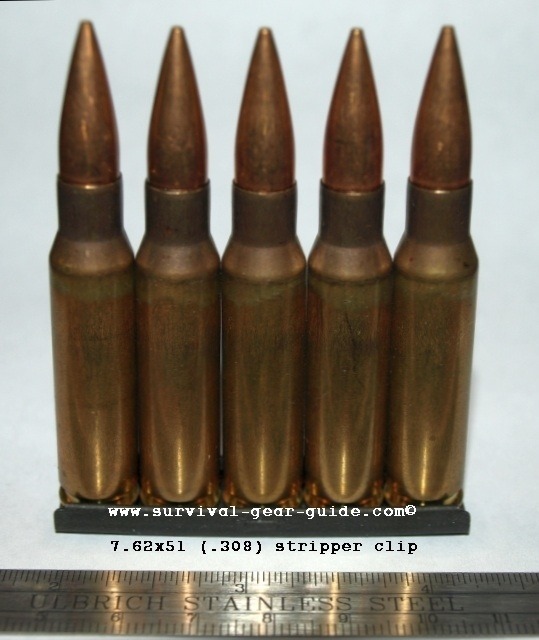 Most common in U.S. use are M61 Armor piercing, M62 Tracer, and M80 Ball. 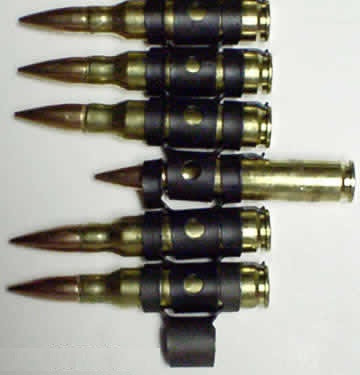 For training purposes, M63 Dummy and M82 Blanks are used. The new tungsten cored M993 Armor-piercing rounds may also be fired in the M60 as well, though they did not enter the inventory until after the M60 was withdrawn from service in active-duty units. 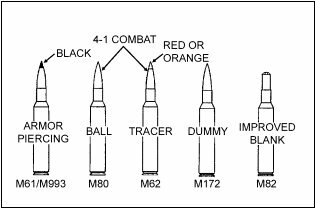 The standard combat ammunition mix for the M60 consists of four ball (M80) cartridges and one tracer (M62) in belts of 100 rounds. The four to one ratio theoretically allows the gunner to accurately "walk" the fire into the enemy. Tracer bullets do not fly quite the same trajectory as ball and weapon's sights must be used for accurate fire—particularly at ranges in excess of 800 meters, where 7.62x51mm NATO tracer bullets usually burn out and are no longer visible. This is a problem for all weapons in this caliber using this tracer round.